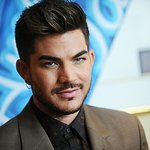 American Idol star Adam Lambert popped in on a group of school kids to support DonorsChoose.org, an online charity that makes it easy for anyone to help students in need. The 28-year-old musician dropped by to perform his hit “Whataya Want From Me” for the students and afterwards passed out music composition books for them to write their own music in. Students also performed an original song for Lambert on instruments funded by DonorsChoose before he participated in an online video chat as a prize for his fans who supported the site’s challenge to raise money for classroom projects! Visit Lambert’s DonorsChoose page to support him and this amazing organization. Watch a video of Adam speaking about DonorsChoose here.